DECO-ERA MEXICAN FIGURES LAMP, Riviera Co.
Popular in many households at the turn of the 20th century, supplanting the schoolgirl academy needlework samplers and pictures that were the accomplishments of an earlier generation of young women. 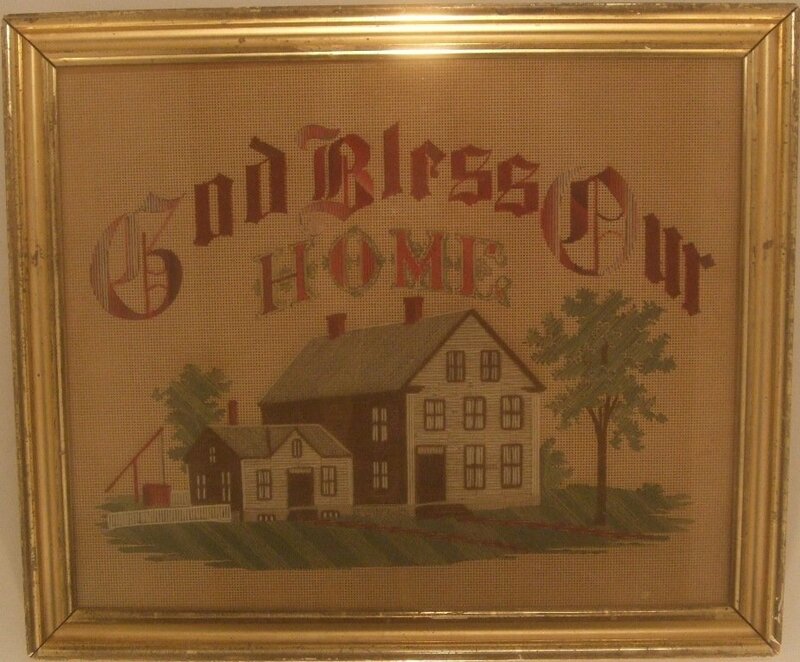 These 'samplers' were embroidered in wool yarn on pre-printed punched paper foundations that could be purchased anywhere in the nation stamped with homespun homilies such as these. Ask about our other examples.